LAS VEGAS — As the afternoon wore on at the Wynn Las Vegas, CNN tried desperately to hype the evening’s Democratic debate. Reporters in the hall whispered breathlessly that, yes, Hillary aide Huma Abedin was about to walk onto the stage to size up the podium for her boss. Others stalked the empty spin room, explaining to the viewing audience that the candidates would enter here, leave over there. One could almost feel the channels change. 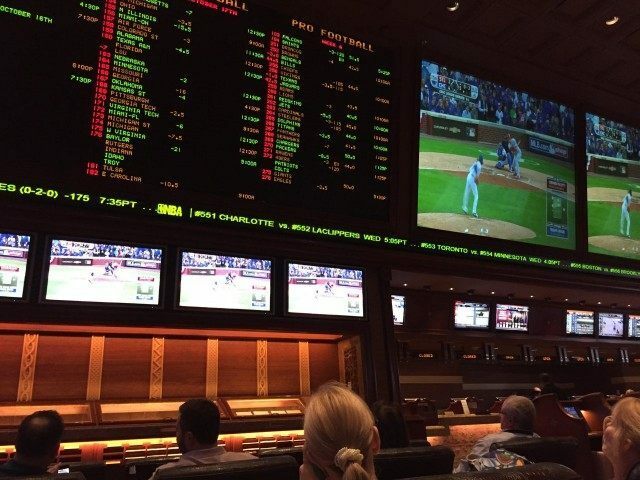 As bored journalists savored cool fresh fruit on the baking-hot veranda overlooking the verdant golf course, a small crowd gathered in the luxuriant sports book to watch the Cubs and Cardinals battle at Wrigley on the big screen. And the reality began to set in: with the New York Mets and Los Angeles Dodgers set to play in the evening, the country’s two largest media markets would be watching something other than the Democratic presidential debate. Democrats tried to make the best of sliding expectations. Senate Minority Leader Harry Reid told journalists that they could expect a respectful debate, unlike the personal attacks that had so dominated the two Republican events. But CNN’s Anderson Cooper, no doubt aware of how the GOP’s fireworks added up to staggering ratings, told Jake Tapper that he intended to set the candidates against each other, since he did not expect them to do it themselves. Over at the Facebook corner, Don Lemon showed off a nifty social media tool that measured which parts of the country were talking about Hillary Clinton, and which were discussing Bernie Sanders. The problem, he noted ruefully, was that both are being overwhelmed by the number of people discussing Republican frontrunner Donald Trump. For his part, Trump promised running online commentary. He might very well draw a bigger audience.